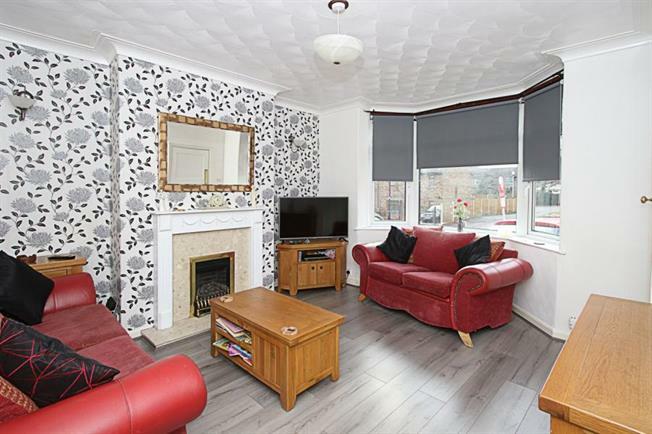 4 Bedroom Semi Detached House For Sale in Sheffield for Guide Price £170,000. Blundells are excited to bring to the market this UNIQUE, extended, Four- double bedroom Semi-detached property, benefitting from uPVC double glazing & Gas central heating throughout, located in the highly popular and convenient residential area of Gleadless, the property is ideally placed for local shops, schools, amenities and transport links. In brief the property comprises of; to the ground floor the entrance hallway leads into a beautifully presented living room with gas feature fireplace, there is a spacious dining kitchen comprising of a range of wall and base units with roll top work surfaces and access into the garage with downstairs cloakroom. There is a superb conservatory which can be used as a further reception room and French doors provide access into the garden. To the First Floor is the master bedroom with fitted wardrobes, a further second, third and fourth double bedroom and fantastic three piece family bathroom suite with separate shower cubicle. The property boasts a block paved driveway for off street parking for several vehicles and to the rear, a fabulous, enclosed garden with patio area. An early viewing is highly recommended to appreciate this outstanding family home!